At Precision Fitness in Cornelius, we understand how challenging it can be for women to achieve their weight loss and fitness goals. Whether you’re training for a half marathon, or you’re looking to lose a few pounds so you can fit into that summer bikini, there are many things you can do to help you get there. 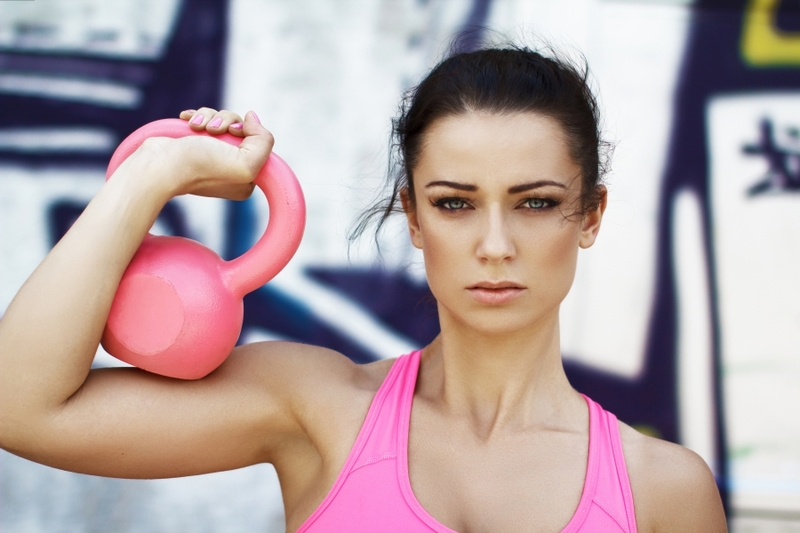 In this blog, we’ll look at some of the top fitness tips for women. If you’re looking for a fitness center in Cornelius to help jumpstart your training, contact the professional trainers at Precision Fitness today. Our highly qualified staff of health and fitness experts will help keep you motivated while they take you through customized workouts that are made specially for you. From weight loss and body shaping to improved strength and increased energy, we’ll do everything we can to ensure you reach your goals in a timely matter. Contact our trainers today to learn more about our gym! 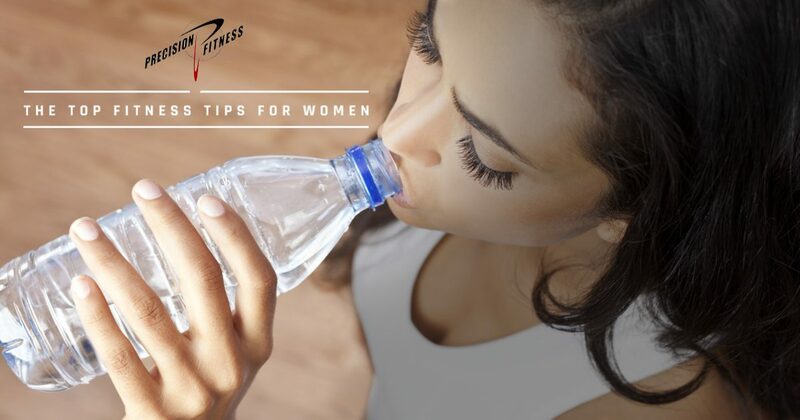 Whether you’re heading to a spin class, yoga class, or bootcamp, it’s always important to ensure you stay hydrated. This will allow you to stay energized throughout your workout, so you don’t end up taking unnecessary breaks in the middle of a class or personal training session. While there are many sports drinks on the market today that claim to be loaded with electrolytes, the reality is that these drinks contain an abundance of unnecessary calories. Rather than consume large amounts of sugar through your sports drinks, try to opt for plain water instead. While it may not be as sweet and tasty as your regular sports drink, it will give you the boost you need to continue working out at your maximum level. Many people sign up for gym memberships only to cancel them months later. This is because most men and women don’t have the motivation to tackle a workout on their own. If this sounds like you, it may be extremely beneficial to find a workout buddy to help keep you motivated. You want to look for someone that will encourage and inspire you along your fitness journey, not someone who will take constant breaks and complain all the time. If you can find a dedicated companion to join you on your road to a happier and healthier life, it will make working out all the more easier. You’ll feel more inclined to wake up early to attend that yoga class because you already promised your friend you’d be there. If it’s been awhile since your last workout routine, or you’re just now in the beginning of your fitness journey, try incorporating activities you already enjoy into your workout routine. Do you prefer running outside to running on a treadmill? Do you get anxious every time you go the gym because there are so many fit and in-shape people there already? If so, consider investing your time in outdoor physical activities such as biking, running, rollerblading, and walking. While everyone loves to go out for a casual drink every now and then, if you’re looking to lose weight and trim down, you may want to leave drinking out of it. It is recommended that women drink no more than two to three units of alcohol each day, or no more than fourteen drinks a week. In addition to drinking, if you’ve picked up the habit of smoking you may want to cut back on that as well. Smoking can inhibit your ability to breathe through physical activity, which can put a big damper on your fitness goals. Regular health exams and tests can help you to find any health issues that may be preventing you from dropping those extra pounds. When you make a point to visit your doctor or practitioner every six to eight months, you have a much higher chance of being treated for things like diabetes and high cholesterol. If you’re brand new to the fitness world, you may feel intimidated about starting a workout regimen or diet. As you slowly begin your fitness journey, it’s important to surround yourself with caring, supportive, and accepting people who will make you feel loved during this transition. If you choose to engage with people who constantly bring you down about your weight, or with people who judge you about your healthy decisions, this can result in feelings of self-hatred which can be detrimental to your weight loss goals. Instead of spending time with these negative Nancy’s, make sure to spend your time with people who will support you. If you want to ensure that you don’t stray from your diet throughout the day, make sure you kick start your day with a big and healthy breakfast. Breakfast can make or break your diet, because it is the one meal that can set the tone for the remainder of the day. Make sure to eat clean and organic foods in the morning, and try to stay away from processed meats and sugary treats. These will only hurt you in the long run! If you live in Cornelius and you’re looking for a gym to help you lose weight and get in shape, stop by Precision Fitness today!